Right from its inception, Sparx IT Solutions is moving ahead with a motto to render the high grade services in web solutions and high-end software development services to its clients at global level. It aims to cater the best services for the sake of improving client’s business in the neck to neck competition at the marketplace. As a result of our consistent and dedicated efforts, we managed to get registered and listed in NASSCOM (National Association of Software and Services Companies). With this registration, our professional squad would be able to have active engagement and leadership in activities, forums as well as industry groups. This help them in sorting out the present challenges in the industry and building well-planned strategies for future for the best results to get an competitive edge in the sustainable industry. Have insights on industry trends with its participation via blogs, articles, discussion, etc. It would prove to be a great platform to enhance visibility through interviews, features, monthly newsletters, industry forums, newsline of NASSCOM and more. On the top of it, this would be an opportunity to share and learn the best business practices on networking sessions. Good to see, CSSChopper has joined hands with NASSCOM! The company is stepping towards its higher goals while satisfying the needs of end users/ customers and maintaining its professional-grade excellence. Verily its very impressive. As, I was wandering for such kind of web-development establishment to accomplish my project which buoy up the all high quality working standard. Thus, I hire this and got amazing output that I didn’t envisioned. 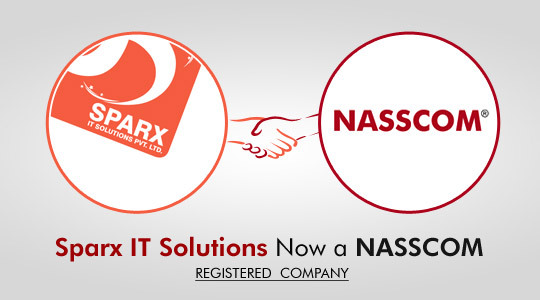 Registration with NASSCOM works excellently and ensure the best quality standard of our project. There is no doubt that this company deserves to get registered and listed in NASSCOM (National Association of Software and Services Companies). I am glad on its listing in NASSCOM as it has always been committed to render the best services to customers and always strives hard to improve client business allowing them carve a niche in the ever growing competition.